Readers of Friday Offcuts may well be aware of some of the good work being done within the industry, both to attract new entrants to forestry and to upskill and retain people already working. But we defy anyone to know about everything that’s going on. In some regions, forestry and wood products companies are working hard pushing the message, working with local schools, providing targeted material and opportunities for coverage to the media and grasping every opportunity as it comes along. Efforts though are often at a local level. Until now, there’s also been very little communication on the initiatives that have been set up and delivered. There’s so much opportunity to learn from efforts being made elsewhere. 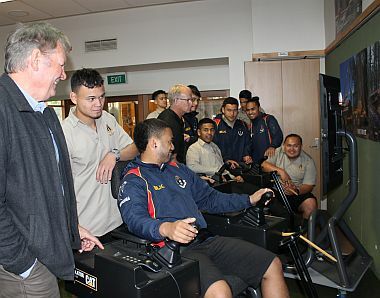 See our story this week on the Rotorua Boys High School and Toi Ohomai partnership. It’s just one example of the work being done out in the regions. The challenge, of course, remains how to raise awareness outside the industry of the diversity of careers and the fulfilling career pathways available through training and further education. A new initiative, funded by the Forest Growers Levy Trust, aims to tell some of the good news stories about forestry careers and training opportunities to wider audiences around New Zealand. The aim here is to deliver some positive stories about what’s actually happening in our industry to the mainstream media over the next few months – and that includes media of any sort. 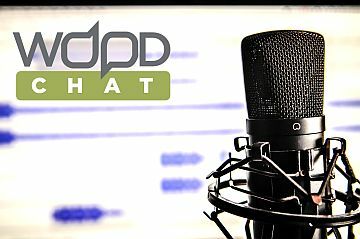 First, however, we need to hear from readers about some of the great things you know are going on within our industry. It may be contractors taking the initiative in providing extra training for their crews, forest management companies or training providers who are going the extra mile, people working in schools or with youth to encourage them to consider forestry as a career or someone that’s involved in the industry that has a particularly good story to tell. If you have something happening in your patch that can be used, here’s your chance. Please make contact with harriet.e.palmer@gmail.com with any suggestions of stories which people outside the forest industry need to hear. For our Australian readers, send any of these good news stories our way and we’ll certainly assist in getting the message out there. 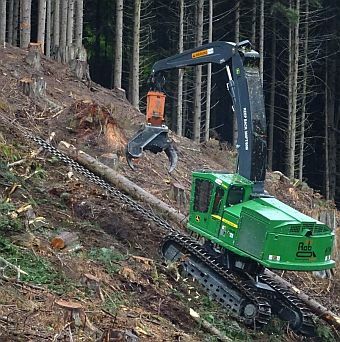 In wood harvesting this week we cover news of a new memorandum of understanding just been set up by researchers from Canada and New Zealand to work more closely together on research around steep slope harvesting. Details relating to the work programmes are contained in the story below. 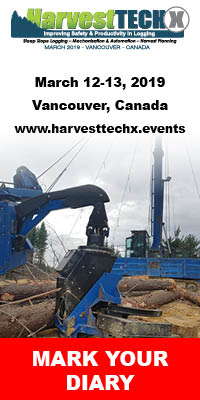 For HarvestTECH 2019, the major wood harvesting event being planned to run in Rotorua, New Zealand in June of next year, we put out a first call for Expressions of Interest to present just a couple of weeks ago. Interest, as anticipated, from contractors and equipment suppliers has been overwhelming. 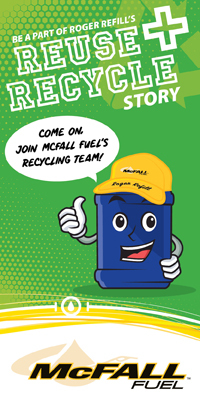 We’ve included further details on how you can be involved again this week. If keen, to ensure you have the opportunity of participating in this major gathering, please get back to us over the next week or so. That’s all for this week. Enjoy the read. The Forest Owners Association has just launched a series of 28 Forest Practice Guides. The Guides are a joint venture between the forest sector and MPI and were initiated as part of the implementation of the National Environmental Standards for Plantation Forestry (NES-PF) which came into force on 1 May. The Guides have been developed with support from MPI and will be owned by FOA, FFA and the Forest Industry Contractors Association. The Guides will be updated regularly as practices change and improve. To download the guides please click here. The New Zealand Institute of Forestry is delighted to announce that David Saathof has been awarded The Prince of Wales Award for Sustainable Forestry in 2018. This award recognises engagement in the principles and practice of sustainable forest management including policy, planning, practice and sound science-based land stewardship. Awardees must be committed to public outreach and knowledge exchange, focusing on the wise use and conservation of forests and forest ecosystems. This prestigious award was established last year, with the guidance and support of His Royal Highness, The Prince of Wales. In a video message played at the New Zealand Institute of Forestry annual awards dinner in Rotorua in 2017, His Royal Highness said the purpose of the award was to encourage young forestry professionals to be “…a catalyst for change, improving communication and collaboration between national forestry institutes, and ultimately helping to equip the forestry profession to deal wisely with the challenges we face now and in the future”. Forestry and wood processing company, Juken New Zealand Ltd (JNL) has confirmed that its plan to refurbish its Kaitaia Triboard mill will go ahead, securing wood processing jobs in the town for the long-term. The company told Triboard staff in September that it wanted to make changes at the mill, including investing to refurbish the plant and technology and return it to profitability. JNL said at the time that the changes would include some job losses as the plant had been running at a substantial loss. JNL employs around 250 full-time staff across its Northland operations in New Zealand and its Triboard Mill in Kaitaia is one of the town’s major employers. New Zealand General Manager of JNL, Dave Hilliard, says the mill has to change to survive – including the way it works. That means going from a 24/7 operation to running the mill 24 hours a day, five days a week. 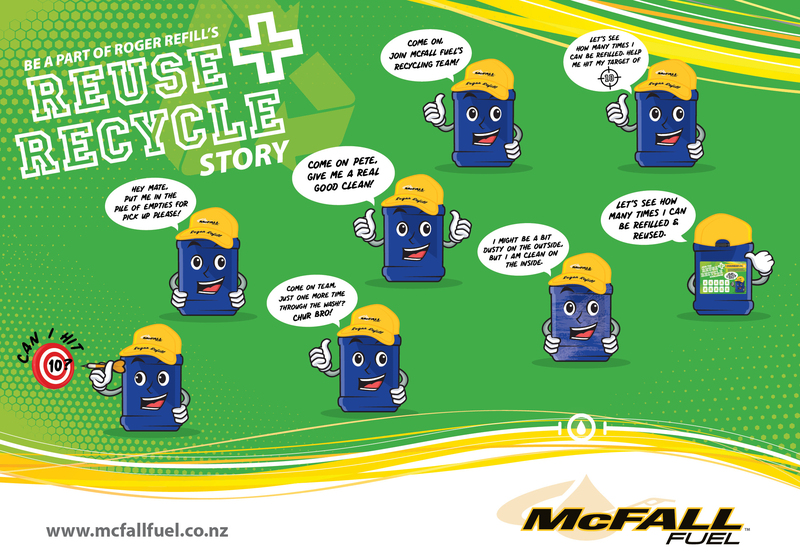 “This change means certainty for our people and the Kaitaia community about the future of this plant. We couldn’t keep on running the mill at a loss seven days a week when we don’t have the logs to put through it or the demand for that level of output” says David Hilliard. “We know these changes are not easy but to make an investment of this size in a plant like this it has to stack up in terms of the returns on that investment over time. That’s why we’ve had to take some hard decisions to make the mill safer and profitable and secure the vast majority of the jobs at the Triboard mill”. The plan will fix the major issues relating to plant, people, and production that have seen the mill operating unsustainably. The mill’s machinery and technology will be refurbished, this will include addressing the Health and Safety challenges at the aging plant. The change to the mill’s operations will streamline production and match the supply of logs to the mill with demand for the mill’s unique Triboard product in New Zealand and Japan. One of the major issues facing the mill is a shortage of logs from Northland forests and an uncertain supply picture in the future, the company says it is in discussions with the Government about the shortage and how it can be solved. These are progressing constructively and the Minister of Forestry and Regional Development has prioritised work on the issue. Over the past 50 years Toi Ohomai, formerly Waiariki Institute of Technology and also the NZ Forest Service, have been home to a tertiary training facility at Waipa, specialising in various aspects of solid wood processing. 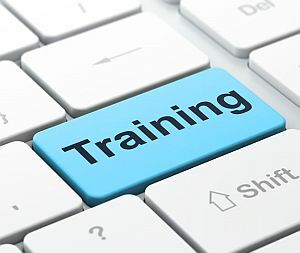 The wood processing industry is currently experiencing significant skills shortages, but also, a misalignment between training and industry requirements. Toi Ohomai is now reviewing the current skills shortages across the various roles that are required to successfully run a solid wood processing plant in New Zealand (and Australia). In an attempt to develop better training models and material that will meet industry's needs, they need to understand the context of your business. They have developed a National Wood Processing Review of Staff Requirements, Training Needs and Skills Shortages, which is being sent out to all solid wood processors in New Zealand (and some businesses in Australia). This review prompts various aspects of training and skills shortages at a processing site. Ideally, a person with a good understanding of the human dynamics at a particular processing site will be able to provide the most relevant information. This would typically be a mill manager, or a human resources person with a good handle on labour issues at a specific site. If you are not the most appropriate person, then please help them by putting them in touch with your skills expert. If you can, Toi Ohomai would be appreciative of your participation in the latest review if apprpriate. It can be accessed on line at: www.surveymonkey.com. The review will take approximately 10 minutes to complete. All information supplied will be treated as highly confidential and data will only be reported at an aggregated scale. Individual businesses will not be identified. No personal information will be revealed at any point in time. All participating businesses will receive a complementary and exclusive report that will provide a high degree of accurate and valuable information concerning skills challenges in the sector. This review will allow Toi Ohomai to approach the current pro-forestry Government for interventions that will support the sector. They believe strongly that this engagement with industry will assist the entire sector to help secure and train the right calibre of future employees. 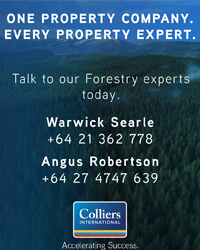 The most recent episode in the Forest and Wood Products Australia (FWPA) series of WoodChat podcasts looks at the initiatives in place to promote the environmental advantages of using timber as a building material. Hosts Sam and Victoria speak to David Rowlinson - Make It Wood Campaign Manager at Planet Ark about his initiative to educate and encourage the increased use of responsibly sourced timber in construction, due to the variety of compelling benefits when compared to other materials. 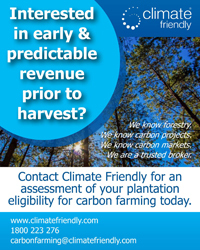 “The environmental benefits play an important role in making the case for timber amongst decision makers, and our work focuses on the fact timber is renewable, stores carbon, can be certified as being sustainably sourced, and uses much less energy during production,” said David. “One key method we have adopted to help us promote the benefits of timber is the Wood Encouragement Policy, which requires the material is at least considered by government bodies as the primary construction material for projects in their area. If it’s done right, these policies should enable councils to reduce their carbon emissions while also saving money,” said David. During the episode, the hosts also chat to one of the key team members at LaTrobe Council who drove the decision to adopt Australia’s first ever Wood Encouragement Policy back in 2014. This episode of WoodChat is the fifth in the series, and comes off the back of topics such the economic benefits of wood in the workplace, Professor Jeff Morell’s plans for Australia’s National Centre for Timber Durability and Design Life, a revolutionary new tool which predicts how climate will impact growing conditions in the future, and the genetic DNA testing system that can predict key commercial attributes of trees during the earliest stages of their lives. 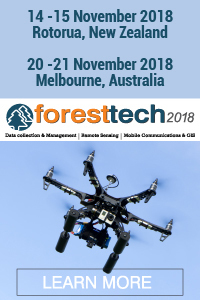 The WoodChat series represents FWPA’s commitment to exploring new ways of communicating industry news and innovations. Each episode in the series includes in-depth conversations with experts on recent discoveries, innovations and initiatives. You can listen to WoodChat on SoundCloud at www.soundcloud.com/woodchat and iTunes. In response to coverage last week on the J-Frame dispute, Red Stag Timber describes as dubious the announcement that the Commerce Commission had “insufficient evidence” that J-Frame samples used in a decay trial had a different treatment penetration pattern to J-Frame in the marketplace. The company says the Commission was provided with a plethora of credible independent lab tests, yet put weight on those of an outlier lab that has since closed its timber testing service. Red Stag does however welcome the Commission’s fresh investigation into J-Frame’s continued labelling incorporating the term ‘H1.2’, a label commonly recognised in New Zealand as signifying compliance with the timber treatment standard NZS3640, which the Commission last year concluded J-Frame did not meet. Designers use ‘H1.2’ to specify that the framing used must be treated to comply NZS3640, says Red Stag group CEO Marty Verry. “However, builders see the ‘H1.2’ incorporated within the current J-Frame labelling and continue to believe it can be used where H1.2 is specified on plans. We are also calling on the Commission to stop Juken promoting misleading media, including publicity last week that “Juken New Zealand has been exonerated by the Commerce Commission over allegations that its J-Frame product had failed timber treatment standards”. That is not the case at all, as the Commission notified Juken last year that it considered J-Frame met neither NZS3640 nor the LVL treatment standard AS/NZS1604.4. 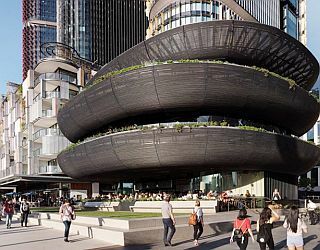 Tiered balconies clad in charred timber dowels enclose restaurants designed "in the round" to provide views across Sydney's redeveloped Barangaroo South precinct. The Barangoo House building is situated at the southern entry point to the large urban regeneration project, which was masterplanned by Rogers Stirk Harbour + Partners and includes a trio of skyscrapers designed by the London-based firm. Australian architecture studio Collins and Turner designed the Barangaroo House project in response to a competition organised by developer Lendlease and the Barangaroo Delivery Authority. The brief called for a free-standing three-storey building, designed to house a major restaurant and bar venue. The prominent and unusual urban site prompted a proposal with a strong visual presence intended to welcome visitors approaching from all directions. The balconies are clad in a curving facade system comprising concentric timber dowels, which were individually steam bent and laminated into a series of predetermined curves before being fixed to aluminium brackets to ensure even spacing across the structure. The dowels, which utilise a robust engineered pine called Accoya, were charred using the traditional Japanese Shou Sugi Ban technique. This creates a dark finish that enhances the wood's weatherproof properties so it requires little maintenance. The charred surface also references the primeval act of burning wood for cooking – as a nod to the restaurants inside. An off-duty Border Patrol agent wanted an explosive gender reveal party for his family and friends, but he ended up igniting a wildfire that spread to Coronado National Forest in Arizona. Dennis Dickey, 37, of Tucson, Arizona, has to pay more than US$8 million in restitution, starting with a US$100,000 initial payment and monthly payments thereafter, the Department of Justice said in a statement. Dickey has pleaded guilty to a misdemeanour violation of US Forest Service regulations for igniting the Sawmill Fire, the statement said. He agreed to a sentence of five years of probation and will make a public service announcement with the Forest Service about the cause of the blaze. Dickey shot the target, causing it to explode and start a fire that spread and resulted in what was known as the Sawmill Fire, the Department of Justice said. 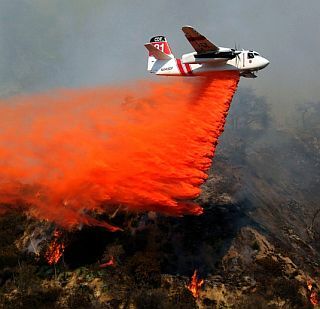 The Sawmill Fire burned nearly 47,000 acres owned by the state of Arizona and various federal agencies. The Coronado National Forest is federal land operated by the US Forest Service. Firefighters from at least 20 agencies fought the fire for about a week, the affiliate reported. Dickey immediately reported the fire and admitted to starting it, the Department of Justice said. CNN has reached out to Dickey's attorney, but has not heard back. Dickey has not revealed the gender of his baby, KGUN reported. School children in Kenya are helping to fight deforestation by planting seeds using slingshots. It’s part of an initiative by the company SeedBalls Kenya, which makes and sells seedballs globally. It encourages children to have slingshot competitions using the charcoal-covered seeds instead of stones. 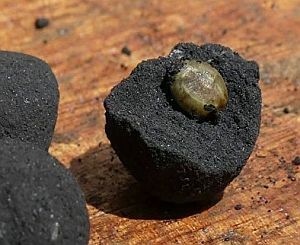 About 2 million seedballs have been planted in Kenya in the past year and a half in what has been called “guerrilla gardening.” Kenya’s government has recognized the threat from deforestation and earlier this year imposed a temporary logging ban that was extended in May by another six months. He looks down in astonishment, for he knows that it's a law of nature of the universe that buttered toast always falls butter-down. So he rushes round to the presbytery to fetch Father Flanagan. He tells the priest that a miracle has occurred in his kitchen. But he won't say what it is, so he asks Fr. Flanagan to come and see it with his own eyes. "Oh my Lord," says Fr. Flanagan, "dropped toast never falls with the butter side up. It's a mir…. Wait... it's not for me to say it's a miracle. I'll have to report this matter to the Bishop and he'll have to deal with it. He'll send some people round; to interview you, take photos, etc." 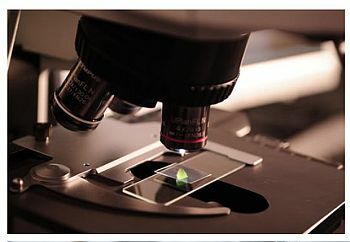 A thorough investigation is conducted, not only by the archdiocese but by scientists sent over from the Curia in Rome . No expense is spared. There is great excitement in the town as everyone knows that a miracle will bring in much need tourism revenue. "It is certain that some kind of an extraordinary event took place in Murphy's kitchen, quite outside the natural laws of the universe. Yet the Holy See must be very cautious before ruling a miracle. All other explanations must be ruled out. Unfortunately, in this case, it has been declared 'No Miracle' because they think that Murphy may have buttered the toast on the wrong side!" And one more with a Irish theme. Paddy took 2 stuffed dogs to the Antiques Roadshow. "Ooh!" said the presenter, "This is a very rare set, produced by the celebrated Johns Brothers taxidermists, who operated in London at the turn of last century. Do you have any idea what they would fetch if they were in good condition?" OK, so we must be getting low on the stories in this particular section - so send me through any funnies that you've been sitting on for a while and we'll look to add them to future issues.